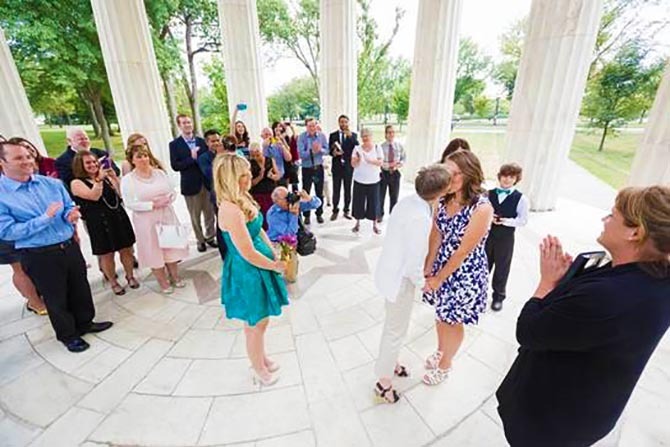 Ceremony Officiants is proud to support all couples in marriage, and we perform commitment and wedding ceremonies for gay and lesbian couples nearly every single week. 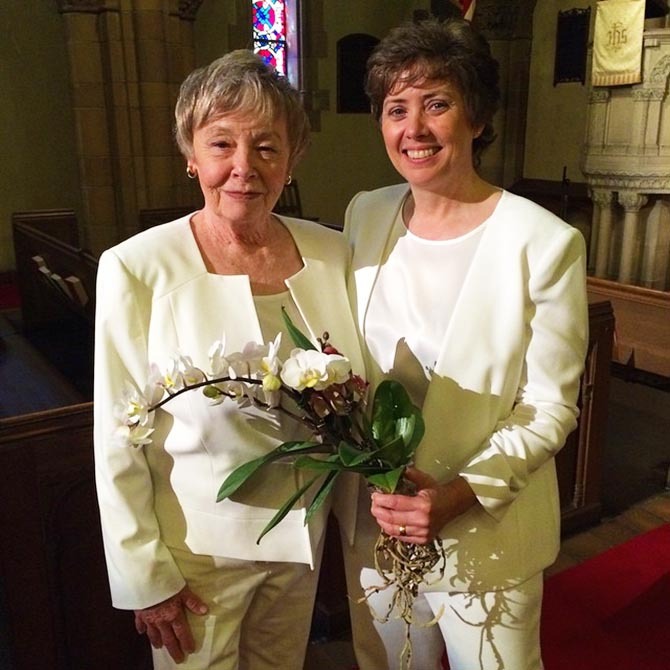 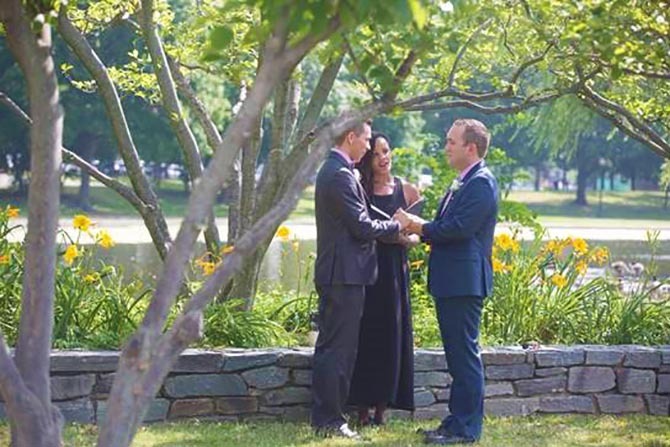 Each of our wedding Officiants is LGBT-friendly as a condition for being a part of our team, and we pride ourselves on being inclusive, flexible, and creative when creating a customized ceremony for each couple. 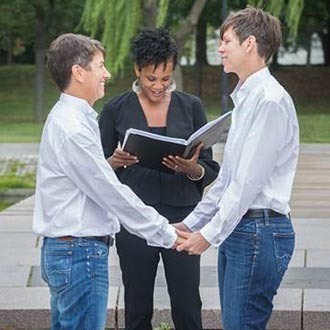 While we have been performing commitment ceremonies for more than 10 years, we also have the benefit of serving several states where gay marriage is legal – Maryland, Washington DC and Pennsylvania. 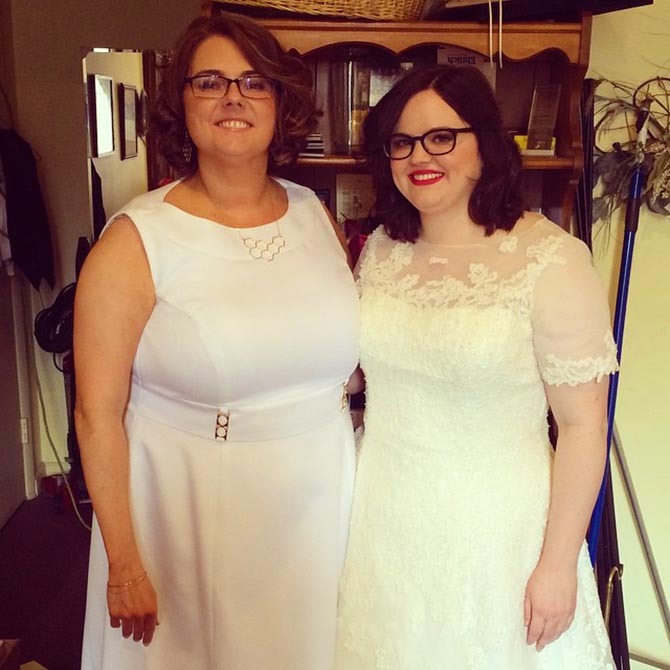 As early and vocal supporters of marriage equality in our area, we’ve earned a fantastic reputation among the gay community and would love to be a part of your wedding. 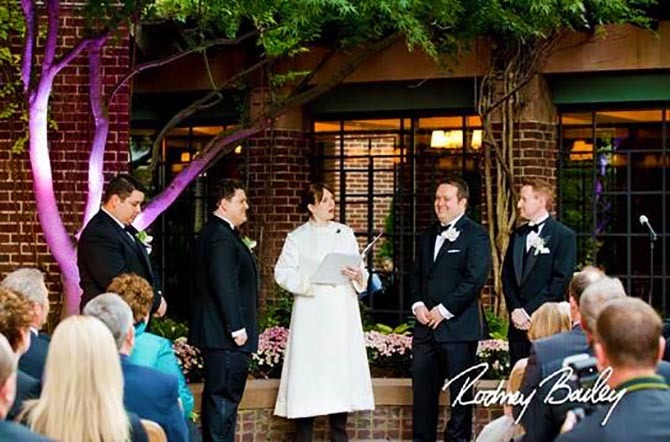 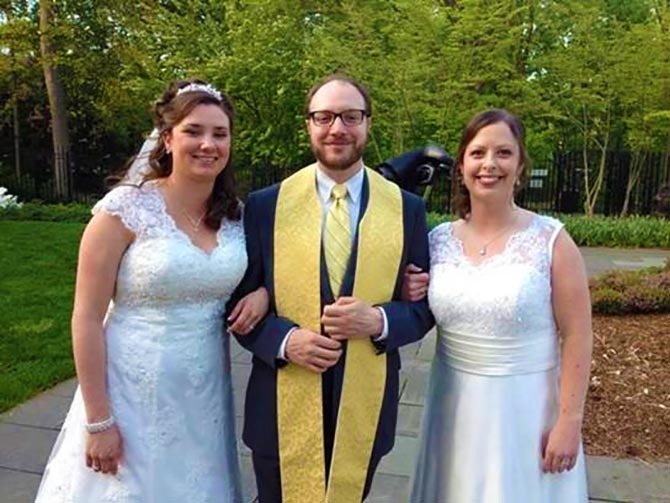 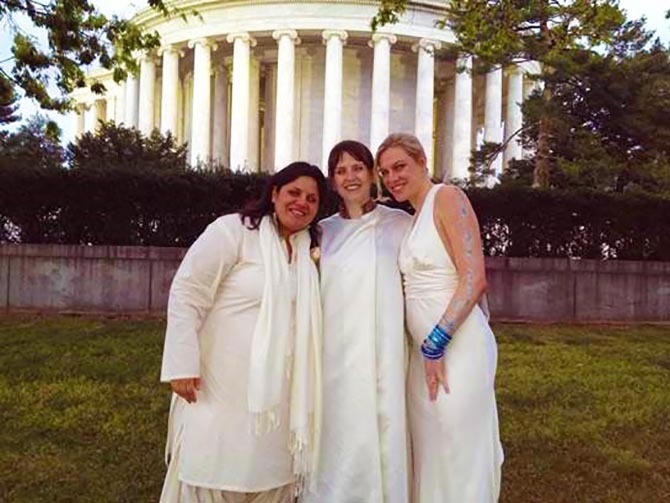 We are pleased to offer customized full-scale wedding officiant services, as well as offering marriage license services and elopements through our sister company, DC Elopements. 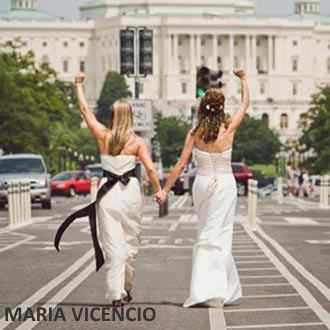 If you are traveling to get married in our area from out-of-state, please ask about additional ways we can help you to obtain your marriage license or recommend other gay-friendly vendors for your wedding. 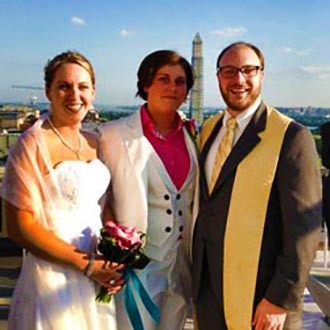 We would love to speak with you about your plans and are happy to offer help and guidance as needed. 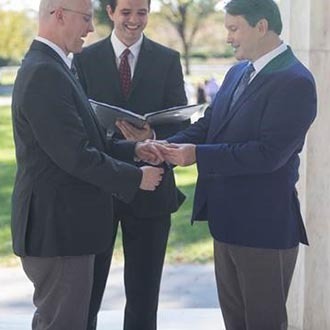 Please contact us today!